The holidays are literally around the corner and we know youâ€™re looking for the perfect gift for your loved ones, significant others or just for yourself. 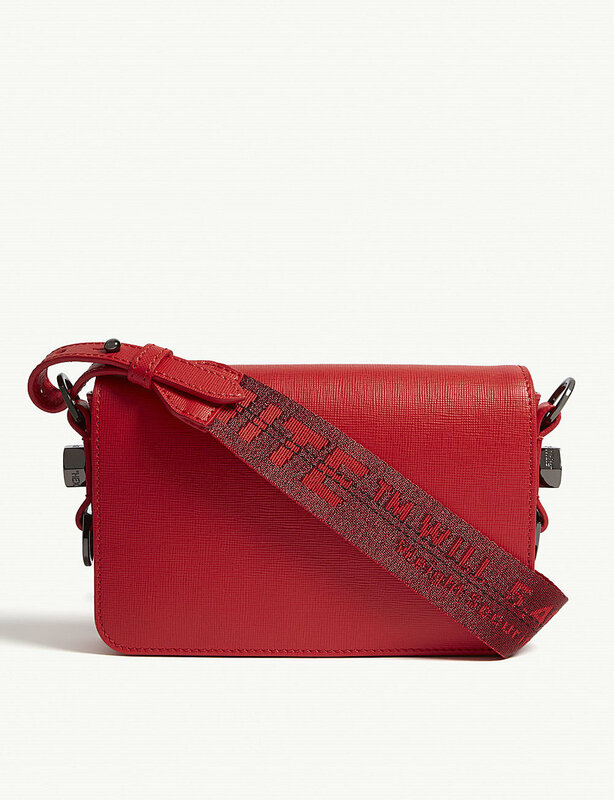 To help make things a little bit easier with gifting Off-White has debuted its latest crossbody bags in festive colors and did we mention grained leather? They are also grained leather. The bags come in both red and green, (Hello Santa) with a magnetic flap closure, detachable industrial strap, internal zip compartment, card slots, gunmetal hardware and Off-White branding. The crossbody bags are available for $750 USD on Selfridges but you know weâ€™ve included more budget-friendly options below.